Zelda painting by Naschi - 436. 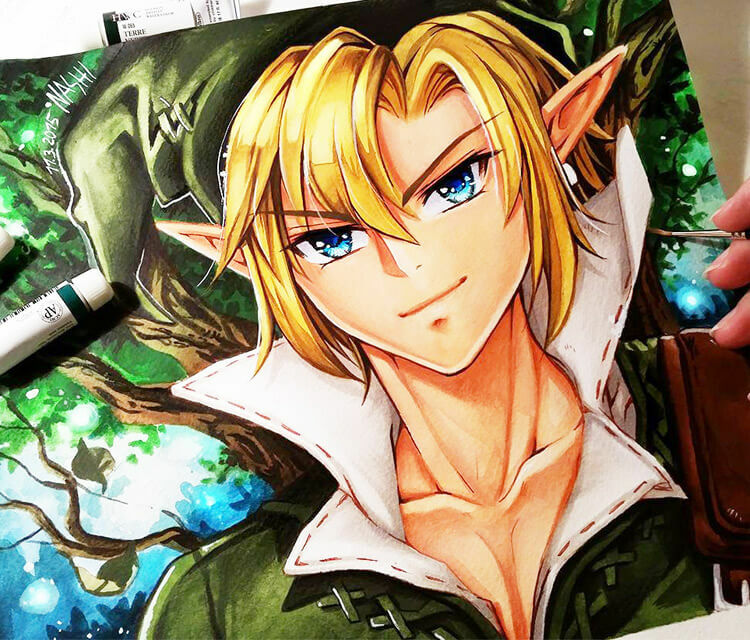 Zelda game, very nice color painting by artist Naschi from Germany. more info: This is the first price of our Tombola at the Leipziger Book fair on this Weekend. You can win the original illustration there wink emoticon. I love the Zelda Games! Tools: Holbein Artist`s Watercolors.